Layton Williams is currently starring in the 20th Anniversary production of the cult classic RENT which tours the UK with a stop in London's St James Theatre from 8th December - 28th January. 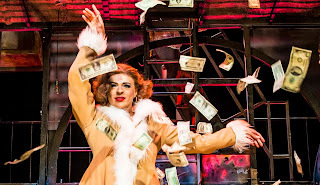 His other credits include Hairspray (UK tour), Thriller! Live (Lyric Theatre) Billy in Billy Elliot (Victoria Palace), The Car Man (UK tour) and on television Bad Education and Beautiful People. You came into the professional theatre business rather early, as one of the original Billy Elliots in the West End. How was that whole process? It was pretty special. 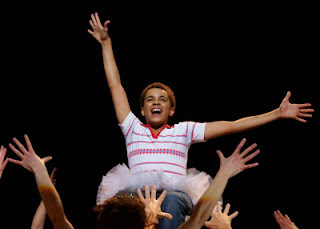 My story is very much the Billy Elliot story - I auditioned with very little experience when I was 11. I hadn't done a ballet class or had any professional training but they must've seen potential I guess. What is it like to have such pressure at such an early age? Did you realise at the time what big a deal it was? I absolutely had no clue. When I speak with people now about it they say they remember all the talk and controversy about this new "Black Billy"! I was just enjoying the ride as a child and luckily it never really stopped. The Billy's got together a lot towards the end of the West End run, as there was so much to celebrate. Can you see bright futures for the more recent Billys? Yes we did a few times and it was always so lovely catching up with everyone after all these years. Some boys went on to do the complete opposite to performing but some stayed at it. One of my best friends Liam Mower is loving his life in Matthew Bourne's New Adventures company so it was amazing to work with him. Others have gone on to do many West End shows, Game of Thrones – and I mean Tom Holland is Spider Man, that's pretty epic! Who run the world?? – ‘Ex Billy's!’ I’m very proud of everyone's achievements - bright futures indeed in whatever path they take. You can't take away that work ethic. How do you go from being a Billy, back to school - was it back to normal life until you were old enough to perform professionally in adult casts? It was back to normal life for a very short time for me. As well as Billy I'd made my first professional TV debut in BBC's 'Beautiful People' so all the kids back in my hometown had seen it. I found it hard to settle back, as my life and heart were in London. Luckily, 'Beautiful People' was commissioned a second series, so I came back to London to film. 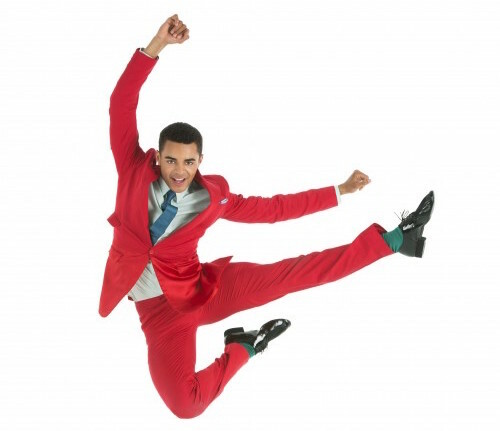 Whilst filming I landed a place at Italia Conti and permanently moved to London at 14. Everything seemed to fall in place and it was perfect. sure, but how did working with him affect what you already knew about dance? Working with Matthew and the New Adventures company opened my eyes to the world of storytelling through dance and movement. It's such a beautiful blend. Yes we dance of course but what amazed me was that there was so much more to it than just putting the steps together. If you can't act, how is the audience going to know what's going on? I first fell in love with his work after seeing his production of Cinderella on a school trip. I never thought I would be technically good enough to be in the company, I'm not a ballet dancer at all but as I said, it's more than that. There are so many dancers from different trainings and backgrounds which makes the New Adventures company so unique. I miss them all dearly. It's such a family. Hopefully if the time is right, I'll perform with them again. How was the UK tour of Hairspray for you, understudying Seaweed would have given you some opportunities to showcase your dance skills? stage was in Thriller Live as a child - and my voice broke on stage. Understudying Seaweed gave me the opportunity to showcase my vocal skills, which is something many people didn’t know I could do. It was the perfect test and confidence boost for what I'm doing right now! 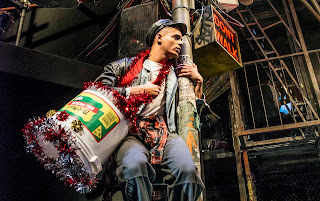 Now a role of a different kind, Angel Schunard in Rent. What made you want to be part of this production? Angel has always been a dream role for me, so when the opportunity came to audition for it I jumped at the chance. 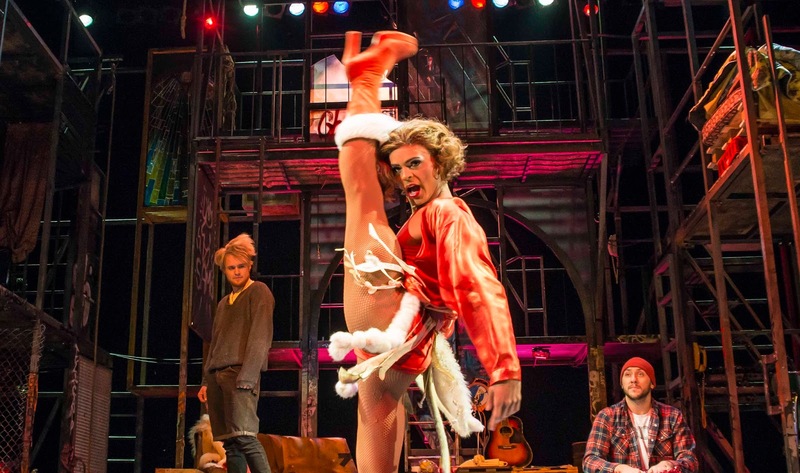 RENT has quite a following, is it a show and fandom you'd been hugely aware of before? I guess Billy had a big following but as a child I didn't really take much notice. However with RENT, it's so lovely seeing the 'Rentheads' out in force multiple times a week watching the show. That's just here in North Wales, so I can't imagine what it'll be like in London. It's fab. I love it when shows touch people's hearts so much that they want to be there with you as much as they can every step of the way. Is drag something you'd ever considered doing? I hadn't actually. The only reason I'm doing it now is for the role however I am reallllllly enjoying it. I'm such a Ru Paul fan. Currently on season 7. Taking my time. I learnt so much from the show though to help with my makeup for Angel. 'Beating' your face is not easy, it's an art. Who knows, after this contract I may make a reappearance in drag...! Do you get to apply any of your dance background to this role? 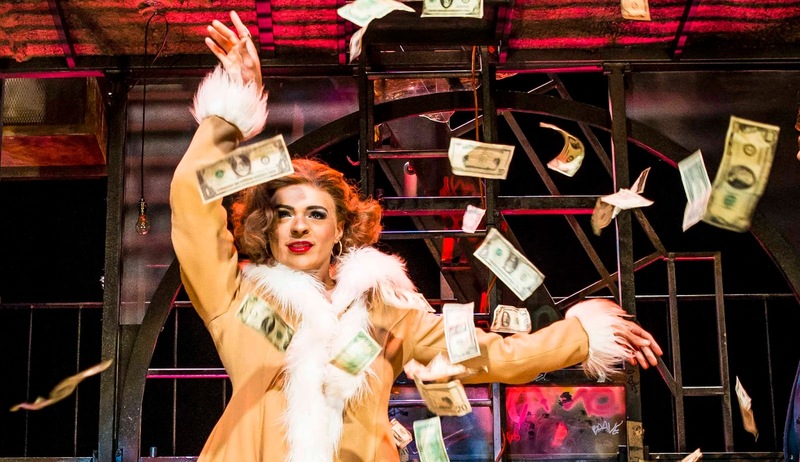 Do you have a favourite song from RENT? Everyone loves Seasons Of Love, but is there one that's perhaps overlooked? I personally love 'I'll Cover You'! It's such a beautiful song and is performed twice in the show in two very different ways. Ryan O'Gorman who plays Collins (Angels lover) brings the house down with his 'I'll Cover You Reprise'... Such a beautiful and emotional performance. It has to be ‘Today 4 U’. I'm completely in my element and I hope people feel the same when they see it.